The HappyBet German Darts Championship from Hildesheim is the final stop on the European Tour before the order of merit is confirmed ahead of the European Championships in two weeks time which will be live on ITV4. The host qualifiers were confirmed on Thursday night and the draw is now made ahead of a 12pm Start on Friday however prices are unlikely to fluctuate due to all the big guns not entering the competition until Saturday's second round. The third round will be played on Sunday afternoon at the last 16 stage before the quarter-finals, semi-finals and final played out on Sunday evening. Michael van Gerwen fresh from a dominating World Grand Prix triumph will look to make it an incredible seven titles from ten tournaments on the European tour in 2016 however the 8/13 on offer is not really a backable price or odds that will get the pulses racing. Mensur Suljovic is the only other European tour winner in this weekend's field and would have been if interest however even at 50/1 is by-passed being housed in the same half of the draw to Mighty Michael van Gerwen. Kim Huybrechts is the only other player that could cause MVG problems over this best of 11 leg format I feel on current form but again the 33/1 represents the task at hand for the in-form Belgian against a red hot MVG. We concentrate on the top half of the draw for a punting angle where the EachWay route is recommended with firms that offer half the odds to make the final should they meet Van Gerwen and lose come Sunday evening, although it is possible MVG could slip up before or we have a free pop at him in a short format final if one of our selections make the championship match with half the odds already in the bag. We have some big prices in what looks a wide open half. However, European tour pedigree and current form narrows it down to four players to choose from in a section where I will pick two in the hope one of them secures a finals berth at worst. 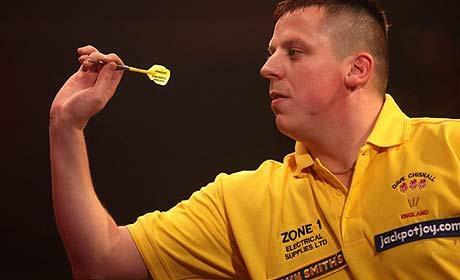 Dave Chisnall is the 3rd seed this weekend and has a fairly easy opener on Saturday's 2nd round card against the winner of the steady Peter Hudson or the out of form Vincent van de Voort before a likely clash with 14th seed Simon Whitlock who could prove the hardest match on route to the final. Chisnall is 14/1 with BetBright and crucially one of the handful of firms offering half the odds to make the final. Other firms offering these best terms include Bet365, SkyBet, BetVictor, and Betway so please be careful you are not receiving a 1/3rd of the odds that many firms are offering. Jelle Klaasen is my second selection and at the price of 28/1 general to go with the 14/1 of Chizzy where attractive prices allows us freedom to go with more than one pick from this top half. Klaasen was edged out 2-1 in the opening round of the World Grand Prix to Adrian Lewis however it is the best of 11 Euro tour where I see Klaasen at his most potent. Kaalsen is the 10th seed and is scheduled to play fellow rapid countryman Benito van de Pas. The former Lakeside World Champion Klaasen leads this head to head 5-1 and could prove a great warm up for what would be his biggest task on route to the final against 2nd seed Peter Wright who is second favourite at 10/1 and obviously makes my short list from the easier half of the draw and leads Klaasen 6-3 in their mini-series, however the constant tweaking with Snakebites equipment is showing no signs of coming to an end and he has looked below par in recent weeks losing in round one of the World Grand Prix to Brendan Dolan and also failed to shine at the Euro events prior to that TV major in Ireland last week so feel he can be taken on this weekend. Simon Whitlock would be my fourth to make the shortlist, he is in great form but has a very tricky draw hence the 50/1 and preference is for Chisnall and Klaasen to extract some ante-post profit from the Darts this weekend. Recommendations - Europen Tour Darts. Dave Chisnall to win Outright Each Way @ 14/1 BetBright or 10/1 Bet365, Betvictor, SkyBet or Betway. Jelle Klaasen to win Outright Each Way @ 28/1 Bet365, Betvictor, Betway or BetBright. Each Way Terms (1/2 Odds 1-2 Finish with firms highlighted above).